Senators Mark Warner from Virginia and John Cornyn from Texa in a joint letter to US Defence Secretary James Mattis and Secretary of State Rex Tillerson said, the Trump administration must make the fighter jet acquisition a priority during initial bilateral discussions with India. John Cornyn (R-Texas) and Mark Warner (D-Va.) sent a pair of letters this week to Secretary of State Rex Tillerson and Defense Secretary James Mattis, urging them to sign off on the F-16 production line in India. 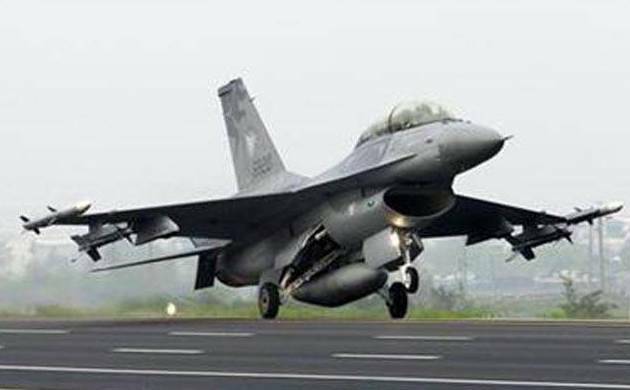 They have urged the Trump administration to push for the sale of F-16 fighter jets to India to build its capability to counter security threats and balance China’s growing military power in the Pacific. India has launched an effort to expand its combat aircraft fleet and the competition has reportedly narrowed down to Lockheed’s F-16 and Saab’s Gripen. Noting that the last F-16 for the US Air Force rolled off the production line in Fort Worth in 1999, the two Senators said India remains the only major F-16 prospect customer. “A primary factor in India’s decision will be compliance with Prime Minister Modi’s ‘Make in India’ initiative, which will require establishing some level of local production capacity,” Warner and Cornyn wrote. “Given the strategic significance of India selecting a US aircraft as the mainstay for its future Air Force and the potential for a decision this year, we ask that the administration make the fighter acquisition a priority during initial bilateral discussions,” they said. Warner, who is a Democrat and Cornyn from the Republican Party are the co-chairs of the influential Senate India caucus, the only country specific caucus in the US Senate. “We urge you to weigh in forcefully with the White House on the strategic significance of this deal, both to America’s defence industrial base and to our growing security partnership with India,” said the letter dated March 23. Making a strong case for the sale of F-16s to India, the two Senators said this would represent a historic win for America that will deepen the US-India strategic defence relationship and cement cooperation between our two countries for decades to come. “It would increase interoperability with a key partner and dominant power in South Asia, build India’s capability to counter threat from the north, and balance China’s growing military capability in the Pacific,” they said. India, they said, increasingly serves as an integral partner in the United States’ security architecture in the volatile South Asia region, helping to protect our joint interests and deter common threats, and has emerged as a critical trading partner, they noted. As such “it is in our national interest to work with India to progress democratic principles through regional security partnership and burden sharing,” they said. “To this end, we support the co-production of our legacy F-16 aircraft in India to help sustain the United States’ current fleet of aircraft and aid a critical Indian security need with a proven American product,” Cornyn and Warner wrote. The competition for the fighter jets, they wrote, presents an opportunity to solidify and strengthen the significant gains made in the bilateral US-India defence relationship over the two previous administrations, they said.